Tonight at 6pm over 100 bloggers will publish the first post in a series called #theSOproject (read more about it here). The chances are if you're anything like me when reading beauty blogs you'll be armed with a notebook and pen and by the end of the 10 week series you'll have amassed a list of products that you want to add to your own make up collection - and we all know, this can be costly. If I'm going to spend as much money as I do on beauty products I like a little incentive to ease the blow of my diminishing bank balance and it's only fair I pass on some tips. Firstly we all have Boots Advantage and Superdrug Beauty cards right? 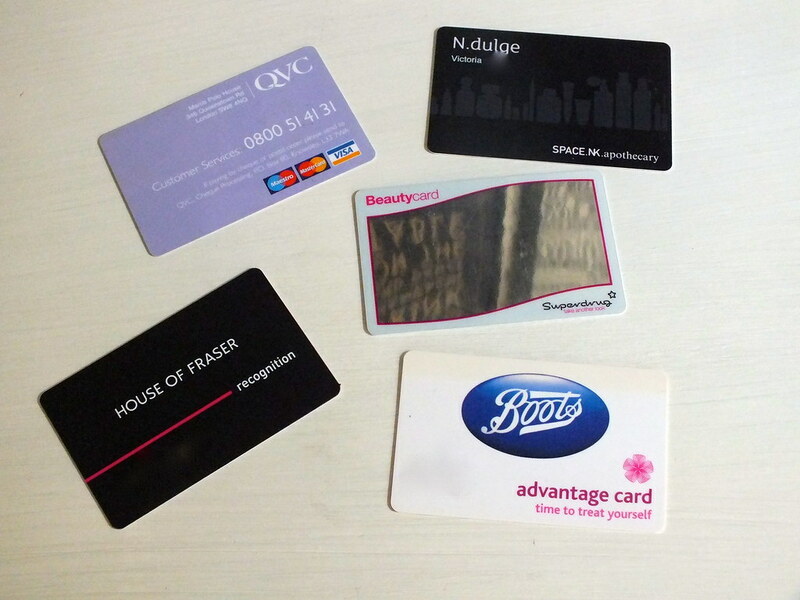 My Boots card is the most used and I try to pick up my beauty buys from there where possible. Covering both high and low end products its amazing how quickly those points mount out. At the moment I have enough points that I can leap on Chanel Les Beiges when it's release next month and it won't cost me a penny; who would argue with that? I'm lucky that I work in London and have access to larger Boots stores with wider ranges of products, if you're not blessed with a fully stocked local store head online. Often there will be additional bonus points available for online purchases and you can have orders delivered to your local store - of course where buying new products you'll have to look in stores for colour matches. Another tip for Boots online ordering, go via TopCashBack and you can earn 2% on your beauty purchases. Of course always investigate Superdrug and Boots for various offers. I think it's safe to say that at one point or another either store will be doing a 3 for 2 on beauty lines whether it's nail colours, particular brands or reductions on skincare. 5 minutes walk from my office is House of Fraser with it's very own Mac counter and yes it's very dangerous. Whilst some products are only available in pro stores where possible I'll make my purchases here to earn cashback to use in store. Of course they have a wide variety of beauty counters so if I'm not adding to my Boots advantage points I'll be adding to these. My local store has a Nails Inc nail bar so I can earn points on my manicure as well as new clothes and shoes. 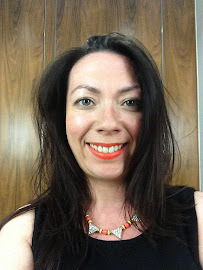 I'm new to Space NK's Ndulge incentive scheme rather frustratingly only discovering a few months ago despite visiting their in store Blink Brow Bar for years where you can also earn NDulge points. Different from the other programmes, you only have 3 months to amass and then use your incentive and we all know shopping in Space NK is never going to be a cheap experience so it's not something I do too frequently. That said last month I had earned £10 to spend in store making my Shu Umera eyelash curler purchase half price so it's definitely worth having. Finally I must give a mention to QVC, the housewives favourite shopping channel I was introduced to by my aunts many years ago and has been responsible for many many impulsive late night shopping purchases. You may be forgiven for thinking that QVC isn't for you but take a look at their shopping guide and see high end brands such as Bobbi Brown, Benefit, Decleor and Elemis featuring on their shows and you'll be tuning in with regularity. I find QVC so helpful to watch demonstrations of products and learn so much from watching their shows look out for their TSV offers when it's one of the beauty brands I mentioned, the prices are amazing. QVC talk about their buying power which they transfer to the customer and you can often pick up products at greatly reduced prices to the high street. Currently Rodial Glamtox Cleanser & Cloth is at an introductory price of £20.52 on QVC versus £50 on Space NK - without the cloth! So there you have some ways to cushion the blow from buying all those 'must have' products and if you have any tips that I've not mentioned please share in the comments. Don't forget the Debenhams Beauty Card. I love it. When I first got one I thought 'well, this is never going to give me anything back'. Totally wrong. I have little perfume sprees there a couple of times a year, and those little points add up. Earlier this year I wanted a bottle of Cristalle Chanel, price £60 I got it for £30 because the rest was paid for with my beauty card money! They often have double beauty point weeks, that's when I try to do my perfume shopping. So if you don't have one already, get one quick smart!